Chalk this one up to the stupidity of “analysts.” I hate this rumor, so I’m putting it to death with this post. There isn’t now, nor will there ever be, an Apple van or any automobile — electric or otherwise. Let’s think about the source of this rumor. It’s an email commenter, who supposedly works for Apple, tipping off one of the most worthless business websites online. Why are we listening? I’m being harsh… deliberately. Normally, I leave rumor debunking to Chris Rawson at TUAW, but we all know what happened there. Why is the Apple van unlikely? I could debunk this several ways, but I just want to focus on real-world numbers for this post. Economically, the luxury auto market is the last place Apple should invest its money. Most manufacturers are lucky to turn a profit on each car. A quick Google search shows me that some do very well, and others make practically nothing. Realistically, whatever Apple produces probably won’t match the sticker price of a Bentley or a Porsche, but let’s try that scenario anyway. On average, Bentley profits $23,000 per vehicle. In 2014, Bentley sold approximately 2,600 cars in the US. That’s a total of US$59 million in profit. Compare that to Apple’s $55 billion in revenue with a gross margin of 39%; Bentley’s total profit for 2014 is approximately 0.0027% of Apple’s Q1 2015 profit. Apple’s smallest revenue category of “other products” still produces 3.6% of their overall profit. These are cheaper items like cases, headphones, etc. Those account for $772 million in profit from a single quarter. That’s 13 times the yearly profit of Bentley. These numbers mean the Apple van will never be worthwhile as a luxury vehicle. Let’s do another scenario. Imagine the supposed Apple van is a direct competitor to Tesla’s product line. Currently, the Tesla Model S starts at $71,000. Based on comments from Tesla’s CEO, Elon Musk, they should be making approximately 10% margins per vehicle sold. We know that Tesla delivered almost 10,000 vehicles in Q4 2015, so let’s compare that data directly to Apple’s Q1 2015 profit. The math actually works out better than the Bentley scenario, but not by a substantial margin. Tesla theoretically banked $71 million in Q4. That equates to roughly 0.0033% of Apple’s Q1 2015 profit. Those are very sad numbers. The most optimistic analysts suggest that Tesla could do $1.25 billion profit per quarter by 2025 — ten years from now. Those numbers would push this category up to approximately 5% of Apple’s overall profit. Ca-ching! Those are just, well, you know, numbers, man; math with which we can actually measure the possibility of success. Here’s a hint: it’s impossible. Sure, Apple isn’t Tesla or Bentley, but even with its current popularity, there’s no way it could make the Apple van into a worthwhile venture. For a project like this to make sense economically, Apple would need to sell 1 million units of a reasonably priced $50,000 vehicle with a 15% profit margin — all within a single quarter. With numbers like that, the Apple van could slightly outsell the Mac. However, growth like that is historically nonexistent within the auto industry. Our managing editor, Aron Trimble, mentioned the Apple TV in our company chat earlier tonight. He wondered what slice of revenue an Apple product needs for them to consider it worthwhile. That’s a great question. Apple sees potential in the Apple TV product line in one shape or another. However, the Apple TV currently sells so few units that Apple lumps it into their “other products” revenue category. 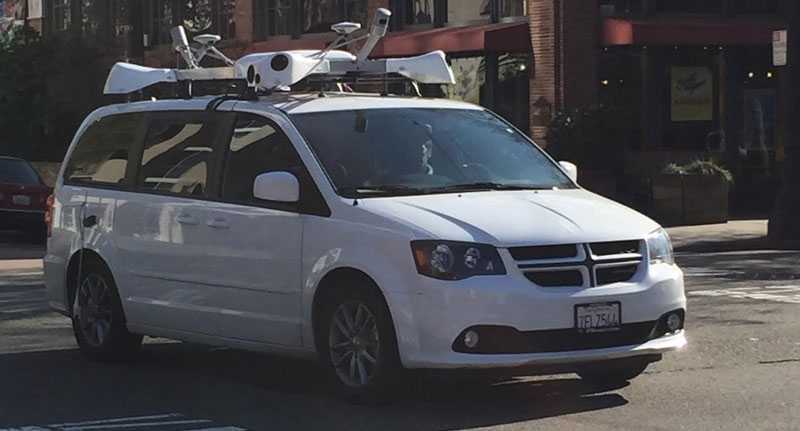 Could Apple see the same type of future in the Apple van? I’m sure that’s possible, but the Apple van doesn’t fall into any of Apple’s pre-existing categories. Apple TV is a small computer with internet-driven content; they pioneered that market. Manufacturing a vehicle isn’t in Apple’s wheelhouse; it’s a completely different language with different regulations and industry-specific expertise. Sales of said vehicle wouldn’t be possible with Apple’s current retail strategy either. Apple certainly has enough money to revamp their entire retail strategy. Is it worth it, though? How much money would Apple spend changing their entire retail strategy? How long would it take to see a return on that investment? When would this venture become worthwhile? Do we have to wait until 2025 like the Tesla projections? Is Apple going to attach a garage to every Apple Store? I should also mention the very public fight we’ve seen between Tesla and franchised car dealerships. Tesla knows all too well that direct-to-consumer car sales present a never-ending fight with state and local government regulations. Cutting dealerships out of the equation could leave you sleeping with the fishes. Would Apple try a different method, or would they face the same red tape as Tesla? Ultimately, these questions don’t need answers. The numbers speak for themselves. Yes, Apple can revolutionize an industry, but not like this. A more likely possibility: Apple could absolutely be working on technology they would license to auto manufacturers.